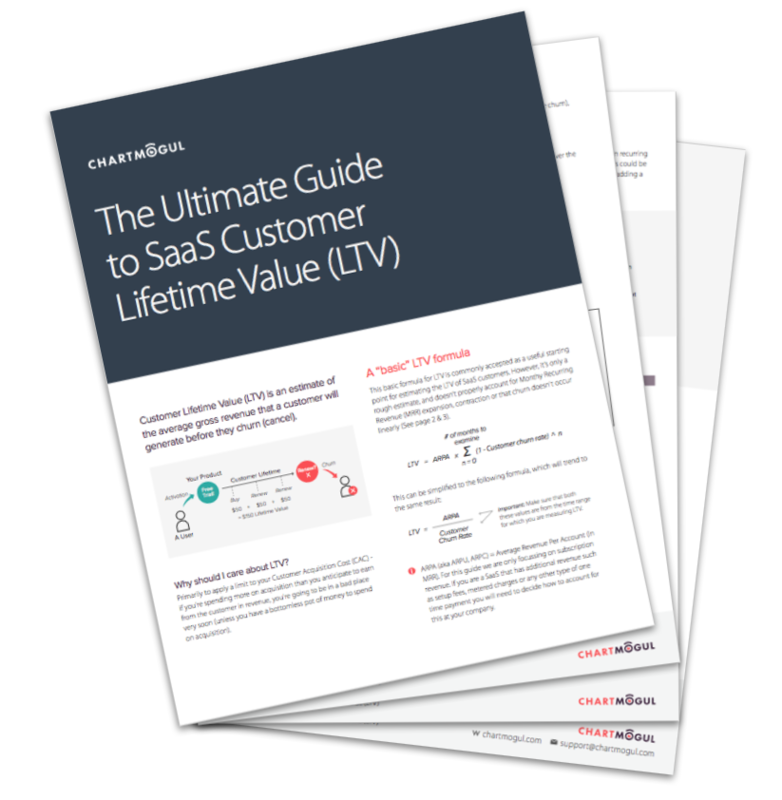 Most SaaS-savvy entrepreneurs will tell you that Customer Lifetime Value (or LTV) is something that you absolutely should be estimating, tracking and improving as one of your key focus metrics. But a big problem in this area is that with all of the material available on the topic, there’s no clear answer to the question of how you should be estimating or using LTV in your business (in fact, the usual answer is that it’s very specific to the characteristics of each business). At ChartMogul we’ve distilled and compiled a large collection of guidance and resources, to bring you the ultimate guide on everything you need to know on the topic. This 4-page PDF serves as a one-stop shop for LTV formulas, precautions and tips for everything LTV-related. We’re giving this guide away for free – no sign-ups or email addresses required. Print it out, save it to your eReader, use it as wallpaper – whatever you like! We’d like to thank all of the thought leaders on this topic, all of whom contribute great value to the domain. Particularly Tomasz Tungaz (who was kind enough to let us use his charts from Churn Fallacies), Christoph Janz and David Skok for his excellent SaaS Metrics 2.0 definitions piece.